“Today is today, my friend. And tomorrow is tomorrow,” the Berber jeweller informed us somewhat cryptically. We had been asking whether we could return in the morning for the necklace he was adjusting for us rather than waiting on him. We were fidgeting impatiently as he went about his work at no pace whatsoever. 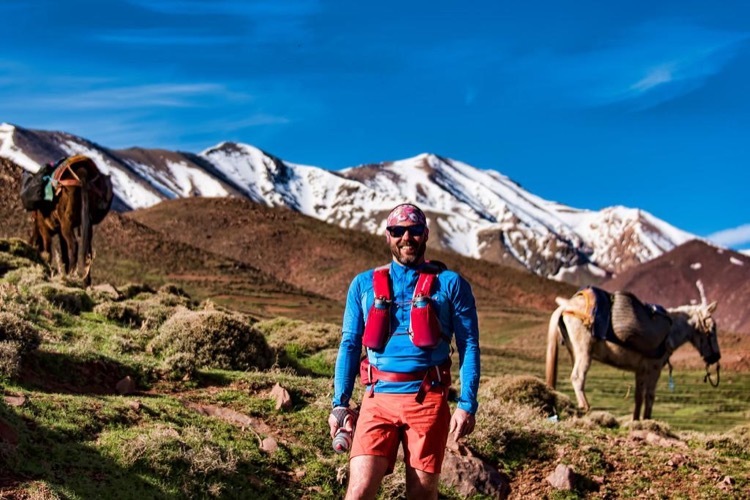 It was just the first day of Endurance Adventure: Morocco – we were settling in – so his philosophy left us somewhat bemused. 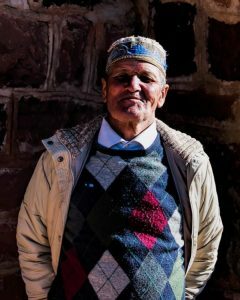 But, as we ran deeper into the Atlas Mountains and deeper into the timeless culture of the Berber people, his line resonated more and more. It spoke of daily tasks to be tended to; of alfalfa to be scythed, firewood to be collected, bread to be baked, tagines to be cooked. The immediate necessity of these tasks leaves little room for stressful rushing around or worry over tomorrow. 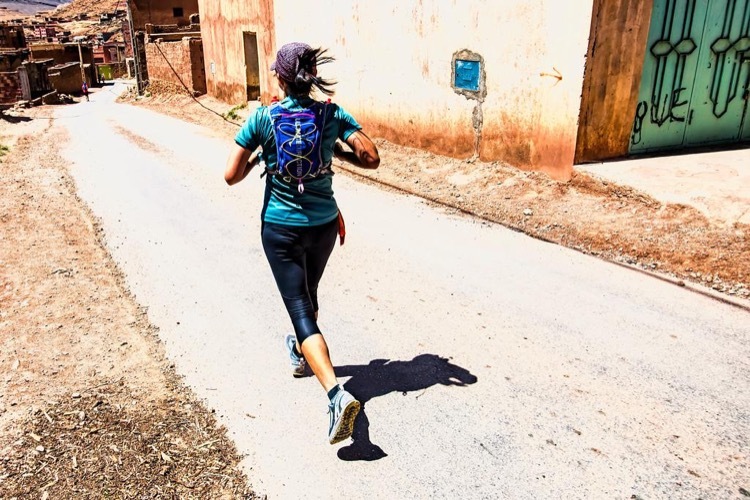 Endurance Adventure, a new concept co-produced by Fuego y Agua Endurance and Rogue Expeditions, afforded a handful of fortunate Western runners a glimpse through the shop window into the peaceful, balanced, human existence in the High Atlas Mountains of Morocco. 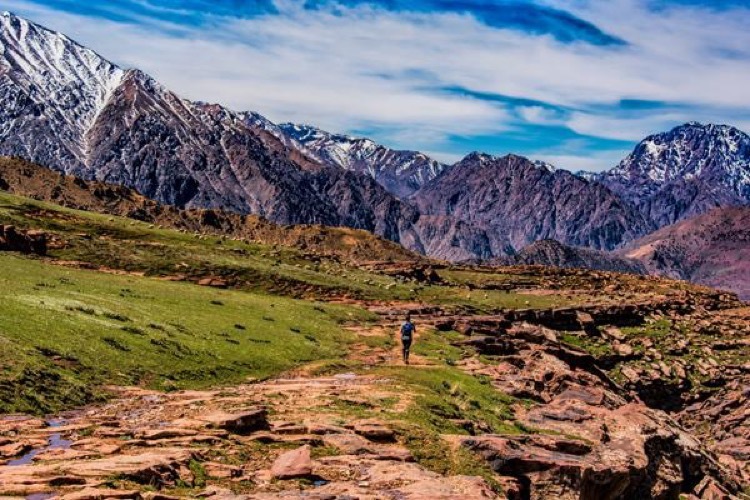 Note: The author wants you to run the pristine trails of the High Atlas, but he doesn’t want you, or anyone else, to know where they are. So, you will have to make do without many of the village names, and come partake in the next Endurance Adventure to know where to go. Morocco conjures images of crowded souks, piles of spices, rolls of carpet, elaborate lampshades and incomprehensible bartering – these were the sights of Marrakech, our arrival city. Having survived its hammer-blow to the senses, we escaped to the edge of the Sahara desert. 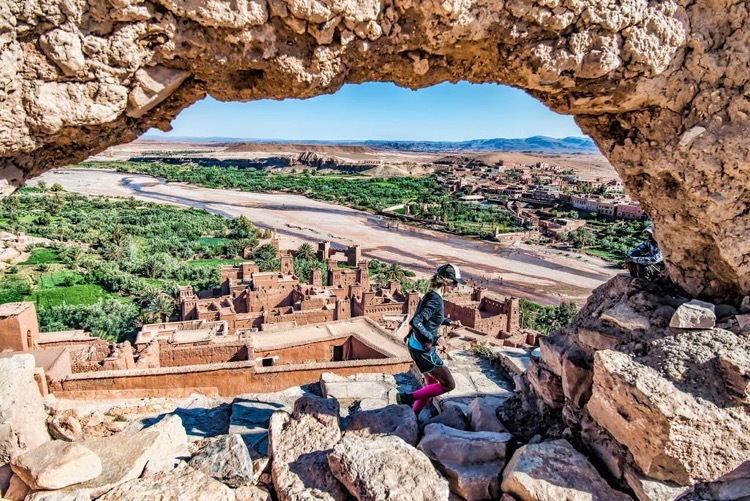 Here we stretched our legs on the first day with a half marathon though sleepy villages to reach the impressive Ksar of Ait Benhaddou, an ancient fortress on the caravan route from the Sahara to Marrakech. Here we ran into our philosopher come jeweler. 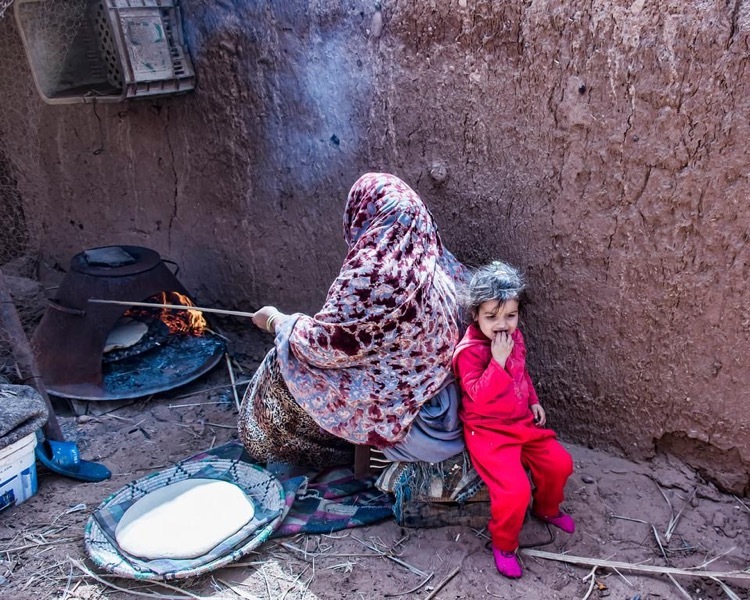 Ait Benhaddou is one of the fortunate kasbahs that has received some care and restoration; we passed countless others in disrepair, their mud brick walls yielding to the desert winds. So, we partook in our first cultural challenge—mixing adobe! 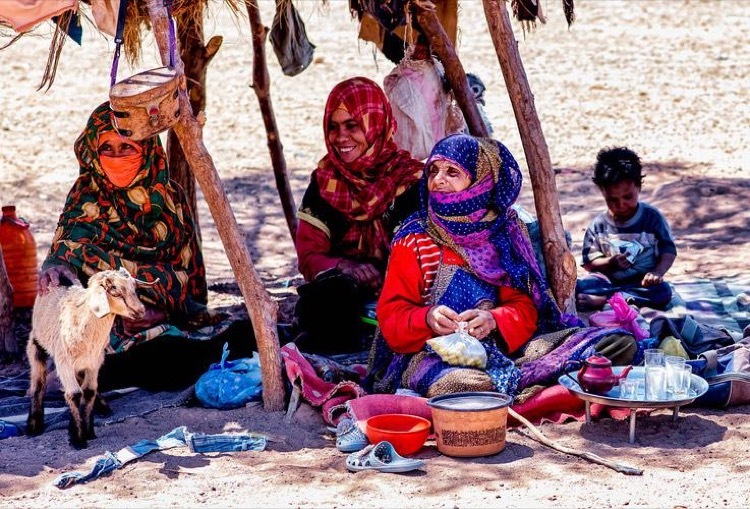 Under the watchful eyes of local experts we toiled clumsily to mix mud, straw and water, pack the mix into moulds and leave to set under the relentless desert sun. Adobe architecture is a cornerstone of Berber life that is fighting resolutely against the advances of concrete. Construction task completed we ran another 15 miles through the scorching Martian landscape of the Dades Valley on Day 2. Veer away from water in Morocco and the terrain turns inhospitable quickly; parched sands and jagged rocks stretch to the horizon. Only in the river valleys does life cling tenuously; the population density of the villages is directly linked to the quantity of water flowing past. No water is wasted here. Ingenious irrigation systems turn the water this way and that, channeling it through lush gardens and creating fertile terraces for crops. 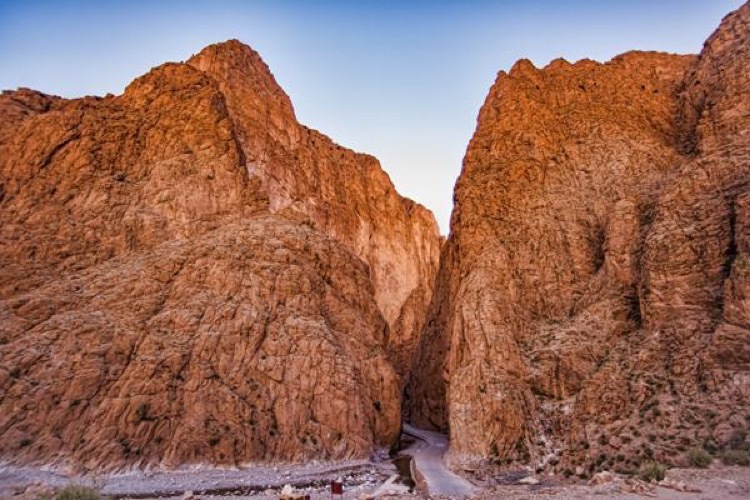 One such valley is the Todgha Gorge – a magnificent stretch of canyon walls protecting oases of refreshing pools and lush gardens. 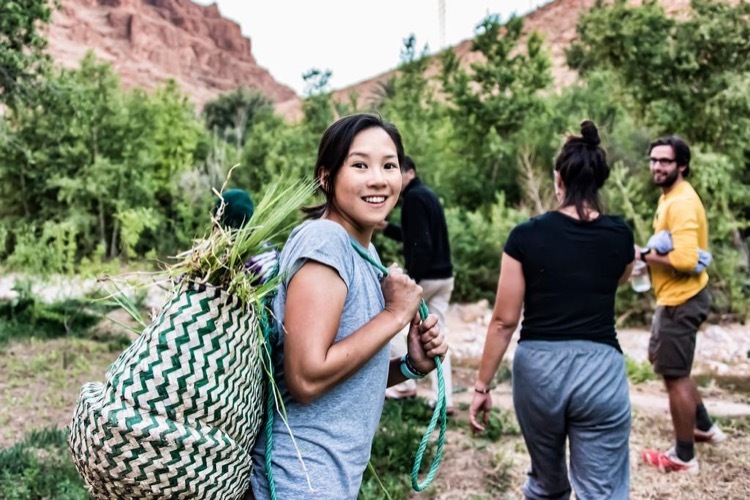 Our third run saw us meander through the gorge in a tough 20 mile stretch that culminated with village tasks: we harvested wheat by hand and hauled it up to the village sheep and cows, then split firewood to heat our evening showers at the local riad. 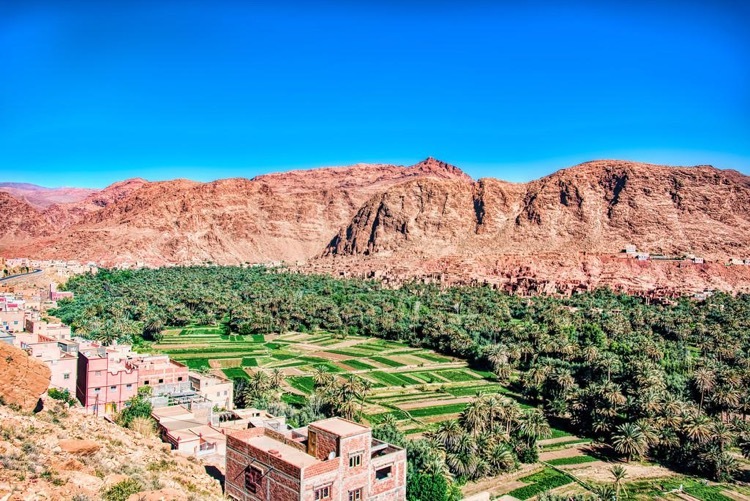 Tourism has taken solid root in this spectacular location as foreign rock climbers rub shoulders with locals offering camel rides, and after a much-needed night of deep sleep it was time for Endurance Adventure to head off the beaten track and towards the mountains. The next two days involved 30 miles of the most stunning single track you can imagine. 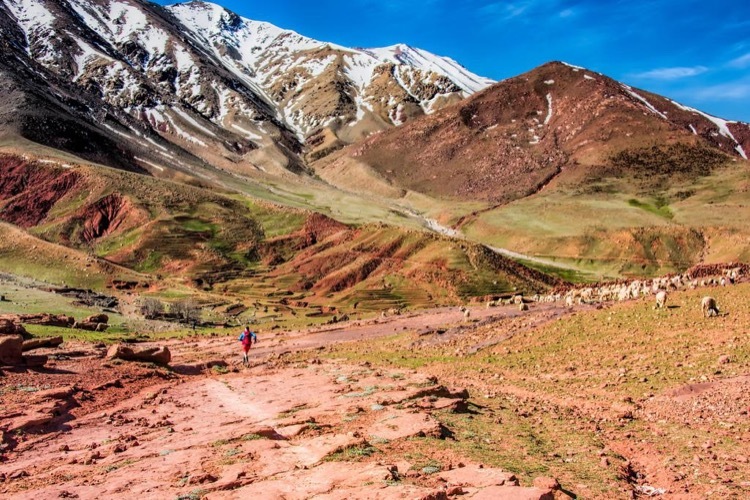 Our group followed mule trails etched onto the precipitous mountainsides of the High Atlas. Nomadic goat herders observed our hydration packs and hiking poles with curiosity as they waved down from crags and rocks far from our reach. Their herds paid little heed to us as they defied gravity to search out tasty morsels. As the winter snows receded into the higher peaks of the Atlas, the goats followed, foraging the fresh sprigs of spring growth. The average goat herder has a lot of time for reflection, and perhaps it was them that put me in a introspective mood, focusing very much on the ‘now-ness’ of the place we were in. It was incredibly liberating and a huge privilege to run these lesser-known trails. We ran with pockets full of raisins, figs, dates and almonds: fruits of the local landscape. Every day was punctuated by copious amounts of mint tea, green Chinese tea infused with fresh mint and buried in mounds of sugar. Our local ‘man-in-the-know’ Hamid observed that there are five pillars of Islam, so five times to pray each day, and so five times to drink tea. I couldn’t argue with that kind of logic and quickly adapted to the sugary routine. Mealtime was always involved a lavish tagine: egg kefta in the mornings, beef with prunes, or chicken with lemon and vegetables for dinner. Always enough food to induce a coma. I was starting to feel more than a little Berber thanks to these routines and the dramatic landscape flashing by. I started to pause in each village we passed to observe the quiet, harmonious routines of everyday life. Water babbled in the irrigation channels as women weeded and harvested in the fields, goats generally ran amok, children smiled out of glassless, classroom windows, men lazed in the shadows occasionally roused into action by a stray mule or a sharp wife. “Today is today my friend, tomorrow is tomorrow,” the jeweler had told us. He was trying to set us free. Just give in to the now, to the task at hand, and worry not of the future. 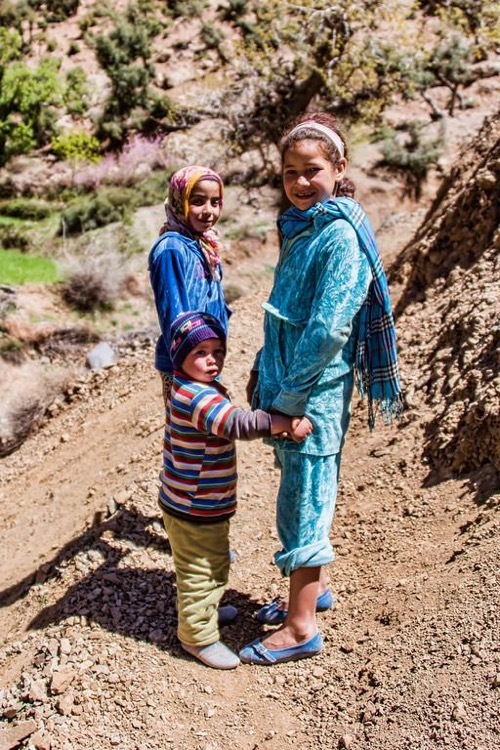 The people of the High Atlas were living that philosophy and I had to admit they seemed to be doing just fine. But for the satellite dishes clinging determinedly to adobe rooftops, the scenes we passed might not have changed in centuries. Roads had not yet reached these valleys; part of me hoped they never would. Being beyond the reach of a Coca-Cola truck might just protect this sanctuary further into the 21st century. Every ridge brought another stunning view filled with crisp colours and dramatic landscapes, every village brought another smiling face, every mile brought us further from the world. Alas though, out of those valleys we had to go, and I emerged from my reverie into a shuttle bus headed to Imlil for the final push of our trip. 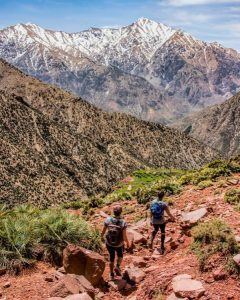 We climbed the eight miles from Imlil to the mountain refuge in the shadow of Toubkal, the highest peak of the Atlas at 4167m (13,671 ft). 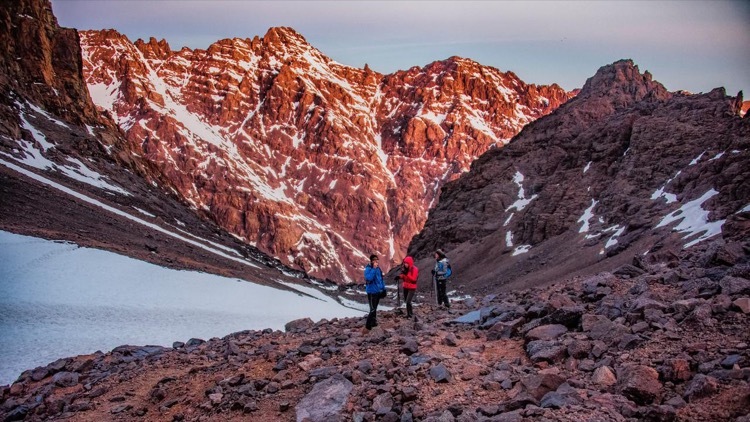 Wrapped warm against subzero temperatures we trudged through the snow and rocks early the next morning to reach the glorious summit of Toubkal and gaze out over the High Atlas at dawn. A fitting way to end the first ever Endurance Adventure. The descent back to Imlil took us close to 100 miles for the week in what was a challenge for the body and a feast for the soul. So much to take in and reflect upon. 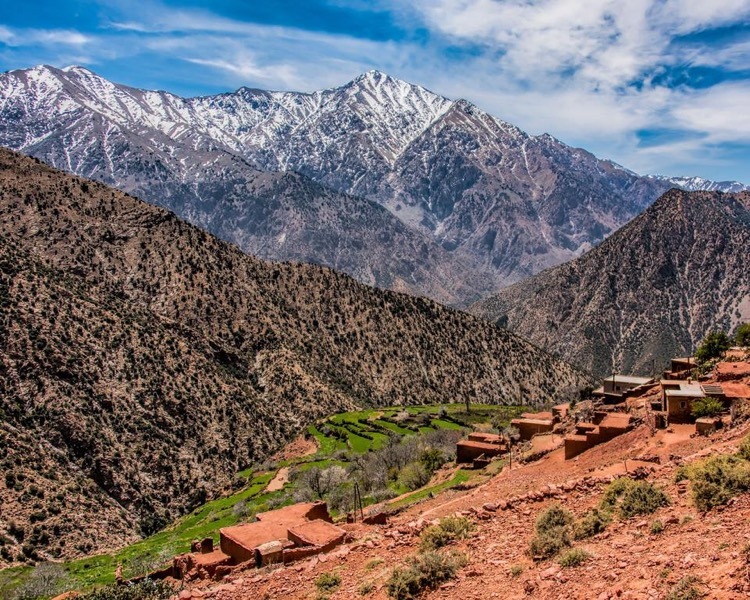 As we braved the chaos of Marrakech once more, and began to think about returning to our lives, I clung desperately to the peaceful memories of the High Atlas. The thought of life going quietly along there in the high valleys became a source of inner peace. And, Inshallah, it will be there when we return to those trails on the next Endurance Adventure: Morocco. Behind the scenes. Unassuming. Overlooked. To the casual observer, this is the impression drawn of Berber women in rural Morocco. On the surface, society is dominated by men and, as a traveler, men are primarily who you interact with. They are the guides, the drivers, the shopkeepers. They are the ones to greet you at your riad, assist with your bags and present you with a steaming tagine at dinnertime. But, the women aren’t hidden away. They’re everywhere. You see them out and about, decked out in beautiful djellabas and hijabs of every imaginable color. Pay attention, and you’ll soon notice something: your lack of interaction with women isn’t because they are shy, or suspicious, or repressed. It’s simply because they’re busy. 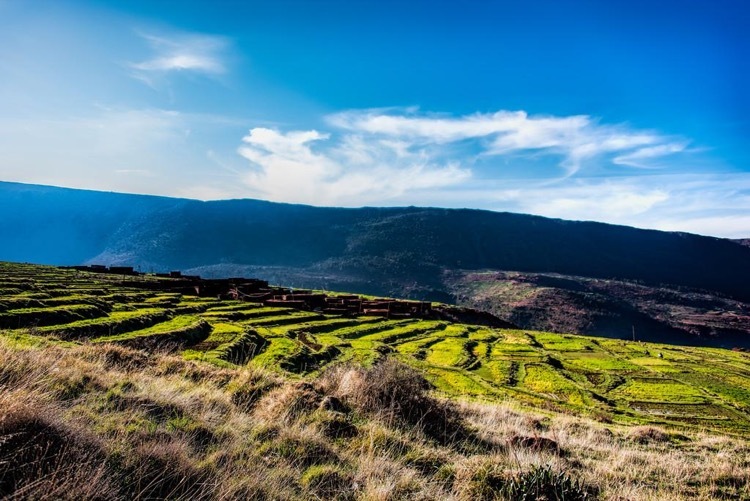 Busy serving as the very foundation of Berber life. They are in the home: raising the kids, baking the bread, preparing the meals, serving the tea and washing the dishes. They are in the gardens: doing the laundry, harvesting the crops, hauling the crops. They are on the roads, bent under heavy loads of firewood, often with small children in tow. They are steady and strong, and they get it done. 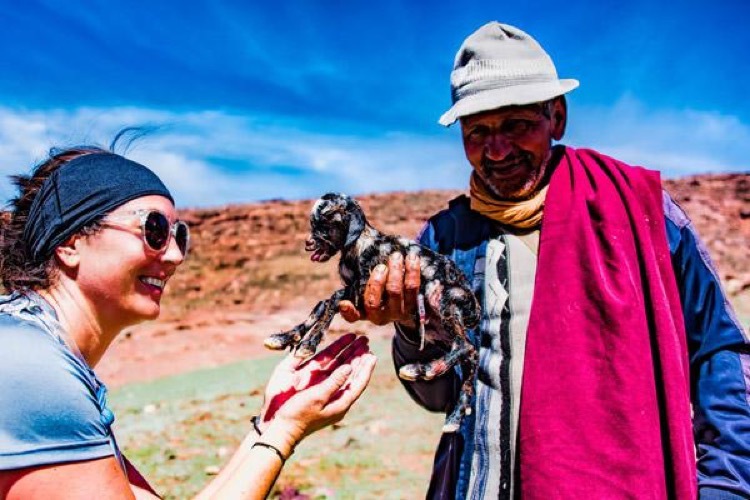 When we arrived in Morocco for Endurance Adventure, we met a diverse group of men and women with a range of experience levels. On paper, the guys dominated with a cumulative running resume that would impress anyone, running the gamut from Ironman finishes and obstacle racing to survival runs, Antarctic stage races and technical mountain summits. The women were no slouches, but experience levels fell more into the road racing and trekking realm. As we embarked on nine days of challenging runs and hands-on travel experiences, it was easy to make assumptions about who our strongest participants would be. RUN. They covered 100 miles in seven days. On pavement and dirt roads, across grassy meadows and rivers, up and down technical mountain single track. Through heat, wind, freezing temps and altitude. Few people in the group had ever covered such distance before, much less over such challenging terrain. Even with our drivers providing an easy out for the first few days, these women didn’t take it. They ran every last step. CLIMB. There was the first-day finish line atop of the dramatic Ksar of Ait ben Haddou. 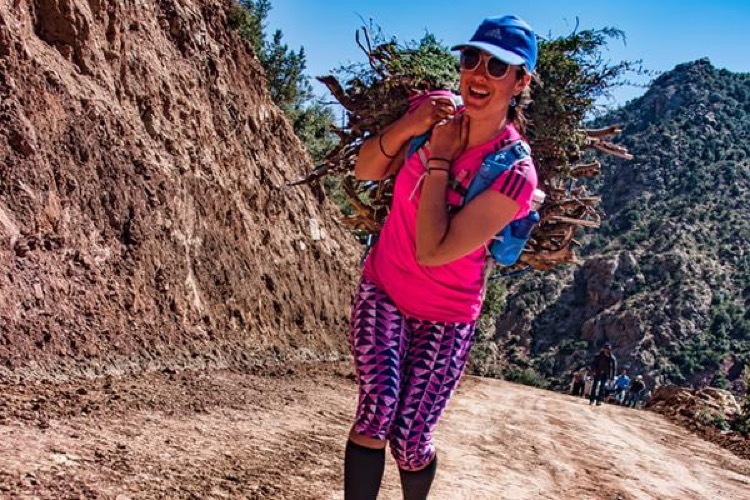 There was the magical 17 miles in the High Atlas that finished with a not-so-magical six mile push to the finish, a mountaintop village that we called home for the night. 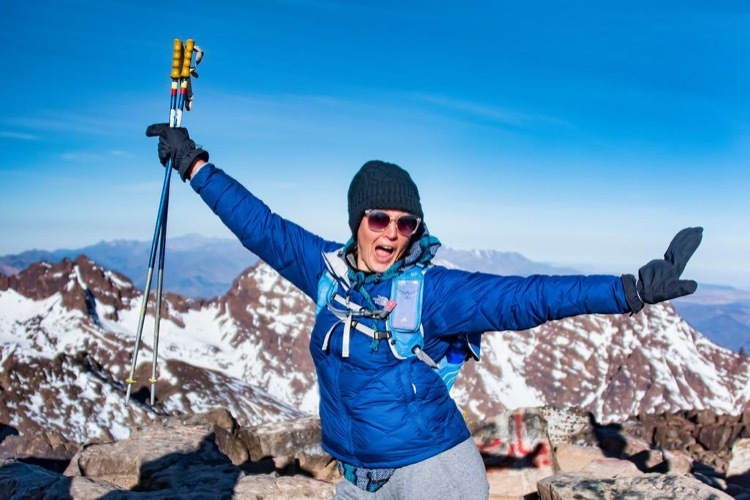 There was the Toubkal ascent, which began at 4 a.m. on tired legs and finished at 13,665 feet. And then there were the endless flights of stairs to be conquered at each and every guesthouse – no small feat at the end of these runs! LABOR. No, not that kind. Endurance Adventure was full of hands-on experiences and learning opportunities, most of which involved manual labor. After all, this is what village life entails! They mixed piles of mud, straw and stones then shoveled it into forms, making the bricks used in Berber construction. They crouched down to chop alfalfa with a small scythe, then carried it to the village cow. 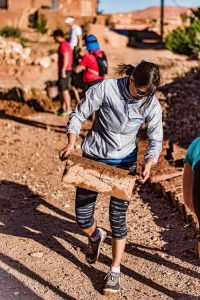 They hauled firewood up many flights of stairs to heat the water in their showers, and again mid-run to assist local women with the daily chore. They loaded luggage onto mules, cracked argan nuts, served tea. OVERCOME. This didn’t all come easy, of course. Although there were elements of a holiday (unique guesthouses, topnotch hospitality and amazing food), this was first and foremost a challenge. These women pushed boundaries, not just physically but also mentally. They arrived in an exotic, unfamiliar country, set to spend nine days with complete strangers immersed in an event that was the first of its kind. They traversed vertigo-inducing ridgeline trails despite a fear of heights. They took off down rocky, never-ending descents, despite an aversion to that very thing. They summited a mountain, despite hesitations over altitude. It wasn’t about being fearless, but it was about working through those fears and coming out stronger on the other side. CONNECT. The “complete strangers” thing didn’t last long. The intimate and challenging nature of these trips always lead to quick, and usually long-lasting, friendships. But it wasn’t just other runners that they connected with. It was also our crew – the drivers, the chef, the guides. The women cheering from their doorways as we ran by, and the kids who high-fived us and posed for goofy photos. The mule-drivers who served as support “vehicles” in the mountains. The shepherds in the meadows who woke from their naps to wave at us, and the newborn goat that was held. Perhaps the most valuable aspect of travel is the realization that people are just people. There is no “us and them” – we are all connected to this earth, and to each other. In the beginning, the women of Endurance Adventure were unassuming, and perhaps a bit overlooked. But in the end, it didn’t matter what their running resumes said or what their list of physical accomplishments included. They were steady, they were strong and they got it done.